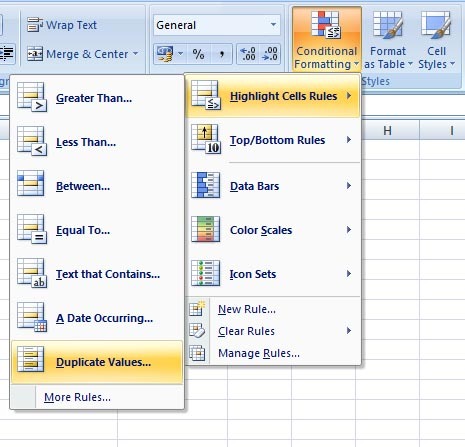 'Duplicate Values' window opens > select Duplicate from the drop down menu, and any color of your choice to highlight the duplicate cells > click OK. Values that are present more than once are now highlighted with your selected color. 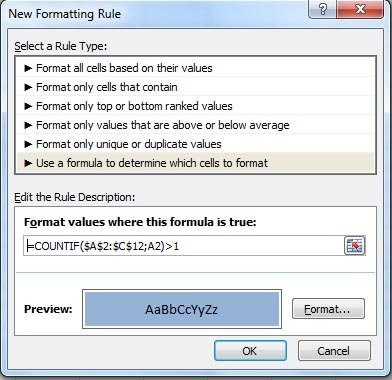 This includes duplicate entries as well as values present more than twice in the list. 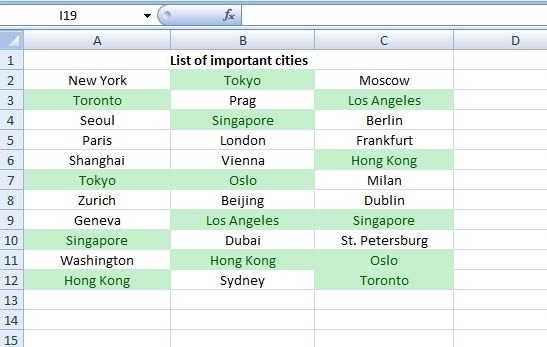 and from the Format... select any color to highlight the cells > click OK. 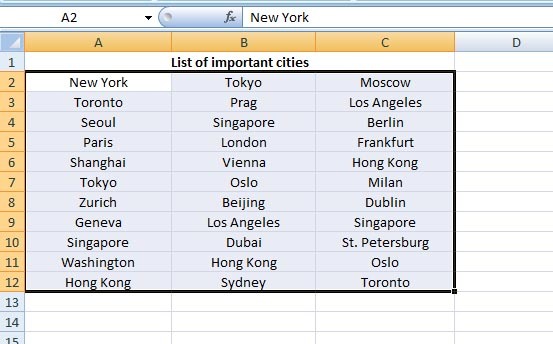 So when I enter =COUNTIF($A$2:$C$12;A2)>1, the COUNTIF function looks for the criteria (cell A2 = New York) withn the range (A2:C12) and when it finds New York more than once(>1), it marks the cells containing New York with the blue color (that I selected under New Formatting Rule above). 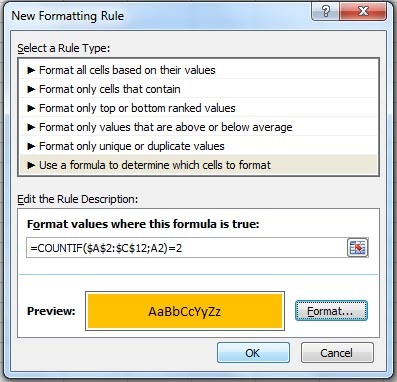 As I have selected the range before clicking on Conditional Formatting, so the formula is copied automatically to other cells to look for the next entry and so on. 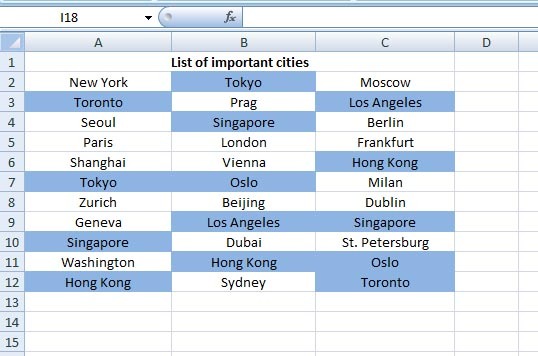 In my list, Singapore and Hong Kong are present 3 times each. Here comes the point, you can now play with the Countif function . How? 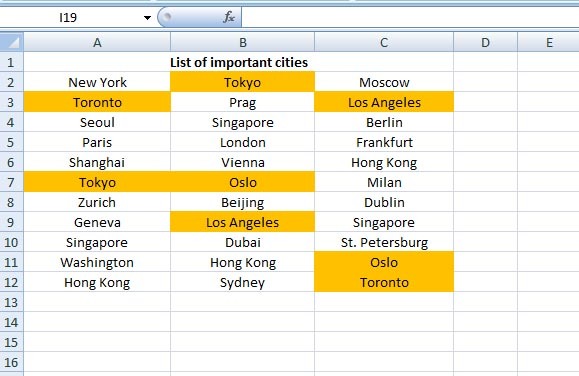 Result: only duplicate entries are highlighted. 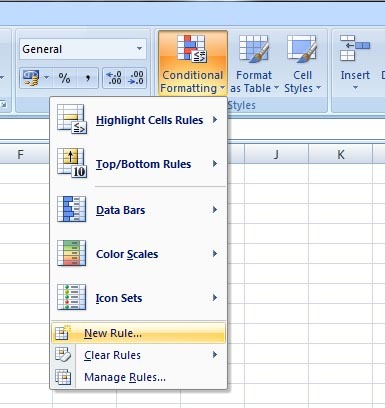 Don't forget to select your cells first! !